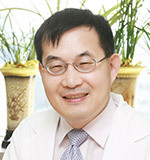 Professor Beomseok Jeon is Medical Director of the Movement Disorder Center at Seoul National University Hospital. He is the past President of the Korean Movement Disorder Society, and served as the International Delegate of the Korean Neurological Association. He also served as the Director of Office of the Medical Policy and Communication, Seoul National University. Currently, he is Vice-President of the Korean Neurological Association and Asia-Oceanian Association of Neurology, and Chair-elect of MDS-AOS. Prof. Jeon graduated from Seoul National University College of Medicine, and completed his neurology residency both at Seoul National University Hospital (1983-1987) and at the University of Minnesota (1987-1991), and then had movement disorder fellowship under Prof. Stanley Fahn at Columbia University (1991-1993). He also studied basic neurosciences under Prof. Robert Burke as H. Houston Merritt Fellow (1997-1998) at Columbia University. Prof. Jeon has extensively studied genetics in Korean patients with parkinsonism, and is currently interested in medical and surgical treatment of advanced parkinsonism. 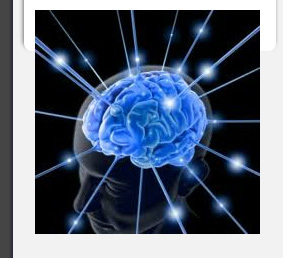 He has published over 300 peer reviewed articles, and wrote eight book chapters and three books for patients and families with Parkinson’s disease and ataxia. Prof. Dr Hamidon Basri graduated from UKM (National University of Malaysia) in 1994, and obtained his Masters of Internal Medicine from UKM in 2001. He did his fellowship in neurosonology (National Neuroscience Institute, Singapore) and acute stroke care (National Stroke Research Institute, Melbourne Australia) in 2003 and in 2005 respectively. He was Professor of Medicine and Head, Neurology Unit, Medical Faculty UKM from 2004-2009. He is currently the head of the Neurology Unit, Department of Medicine of the Faculty of Medicine and Health Sciences UPM. He was the Deputy Dean (Academic) from 2010 to 2015. He is also active in the neuroscience society and is the current President of the Malaysian Society of Neurosciences (MSN) Stroke Subspecialty Council. He is also the immediate past President of the Malaysian Society of Neurosciences (MSN) from 2008-2014. He has been the lead author of the Malaysian Stroke Clinical Practice Guidelines published in 2006 and 2012. His involvement in the international arena include as the Secretary of the Stroke Subspecialty Group of the Asean Neurological Association (ASNA), committee member for the World Federation of Neurology (WFN) Publication and Finance Committee, Asian-Oceanian Association of Neurology (AOAN), and many international advisory boards. He has been invited to deliver more than 100 lectures both locally and abroad. His main research interest is in stroke and neuroscience. He has authored 5 books, filed 2 patents and has published more than 80 publications in local and international journals. He is active in international relief work with Global Peace Malaysia and Malaysian Relief Agency in countries like Pakistan, Afghanistan, and Indonesia. He is also a certified silat exponent and can speak 4 languages. Dr Christopher Chen is a Senior Clinician-Scientist at the National Medical Research Council of Singapore, Associate Professor at the Department of Pharmacology, Faculty of Medicine, National University of Singapore, and Director of the Memory Aging and Cognition Centre, National University Healthcare System. He read for the Medical and Natural Science Tripos at Fitzwilliam College, Cambridge University, graduating in Physiology & Psychology in 1982. His clinical training was at the University of Oxford from where he graduated in 1985. In 1990, he was elected the Janssen Junior Research Fellow at Worcester College, Oxford University and was a Visiting Research Fellow at the Institute of Neurology, London. His major research and clinical interests are the neurochemistry, molecular biology and treatment of stroke and dementia. He has published over 300 peer reviewed papers and book chapters, serves on journal editorial boards and has been a member of several trial steering committees and advisory panels. Since returning to Singapore in 1995, Dr Chen has developed comprehensive multi-disciplinary dementia programmes and collaborative research in the Asia-Pacific region and beyond through a Trials Unit focusing on stroke and dementia with extensive international collaborations. Currently he is Chair of the International Society for Vascular Behavioural and Cognitive Disorders Executive Committee, Chair of the Vascular Cognitive Disorders Professional Interest Area, International Society to Advance Alzheimer's Research and Treatment, President of the Asian Society Against Dementia; Secretary-Treasurer of the Asian & Oceanian Association of Neurology, member of the World Stroke Organisation Board of Directors and its Finance Committee as well as member of the Constitutional Committee of the World Federation of Neurology.